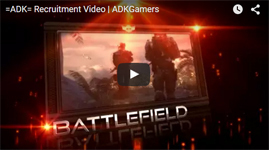 The website is one of the largest parts of the =ADK= Gaming Community. If you enjoy your time here, you can help keep the community running with a small donation. **EDIT** This has been reduced by $100 as we have moved servers and had 2 generous donors cover the upfront cost of the new server. $155.24 of $160.00 goal reached.